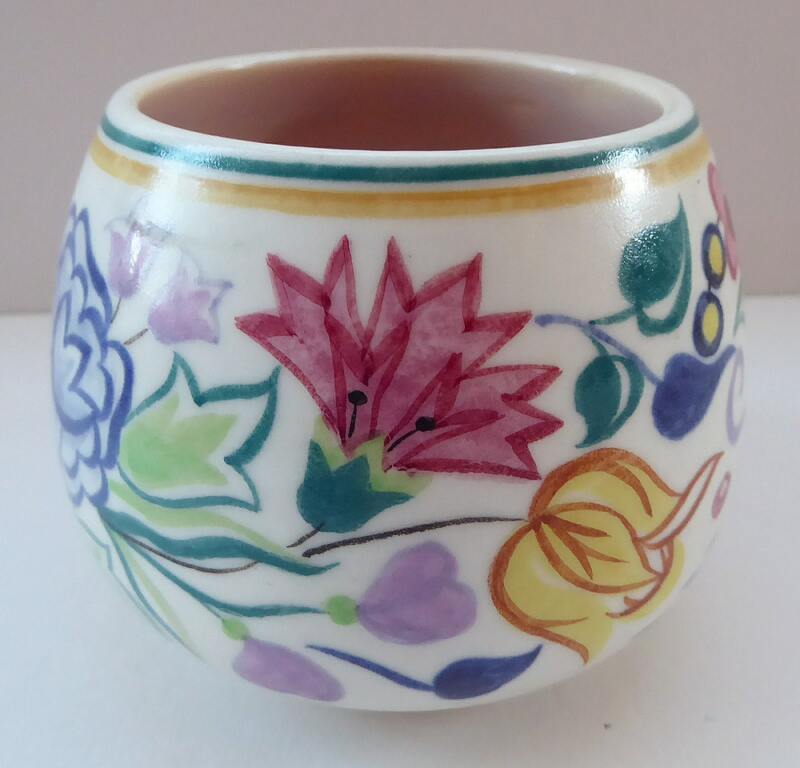 This is a pretty little piece of Mid Century Poole Pottery. 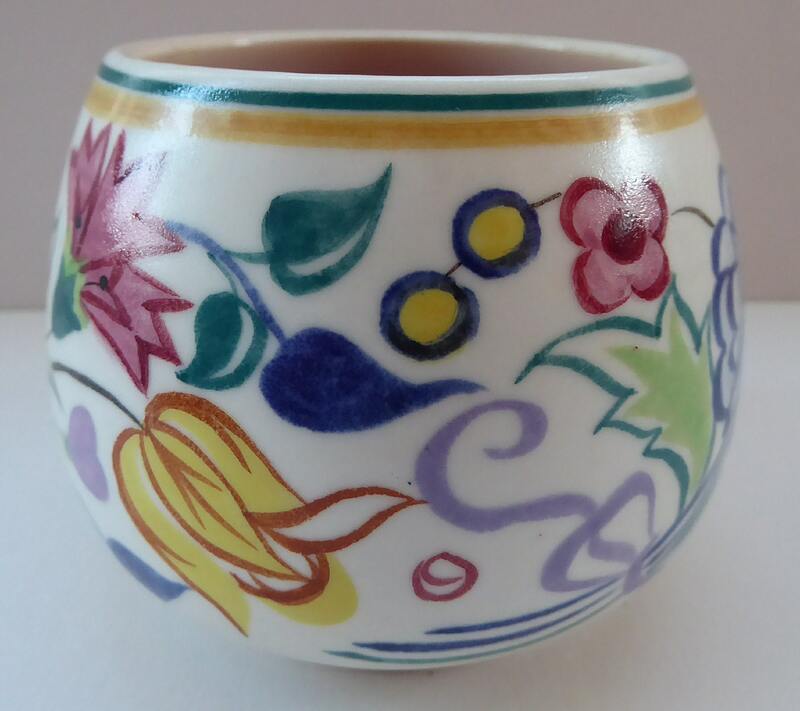 It dates to the early 1950s and is all hand painted. The mark on the base was used on items made between 1952 and 1955. 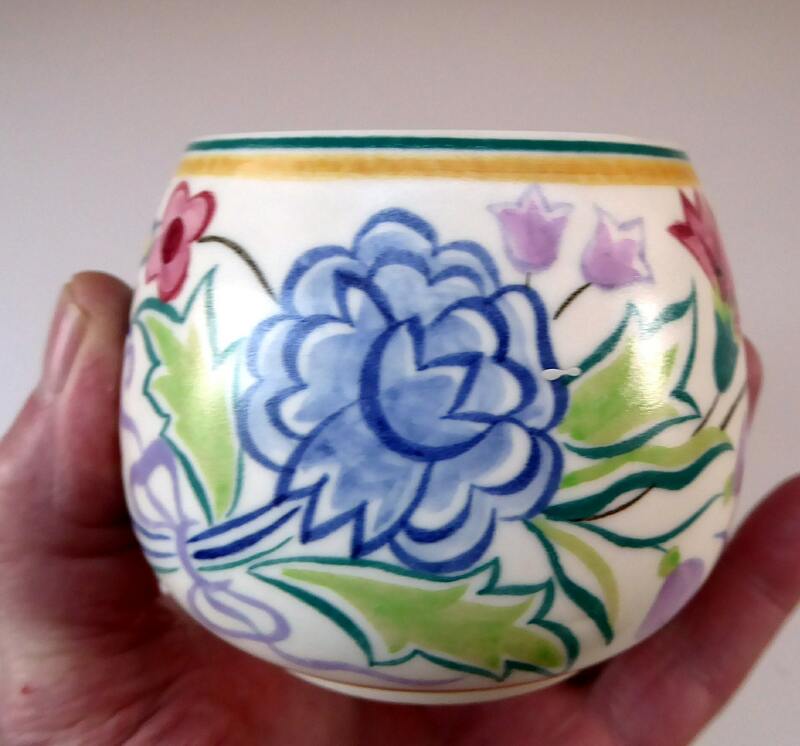 The paintwork is all hand done with lots of beautiful flowers. 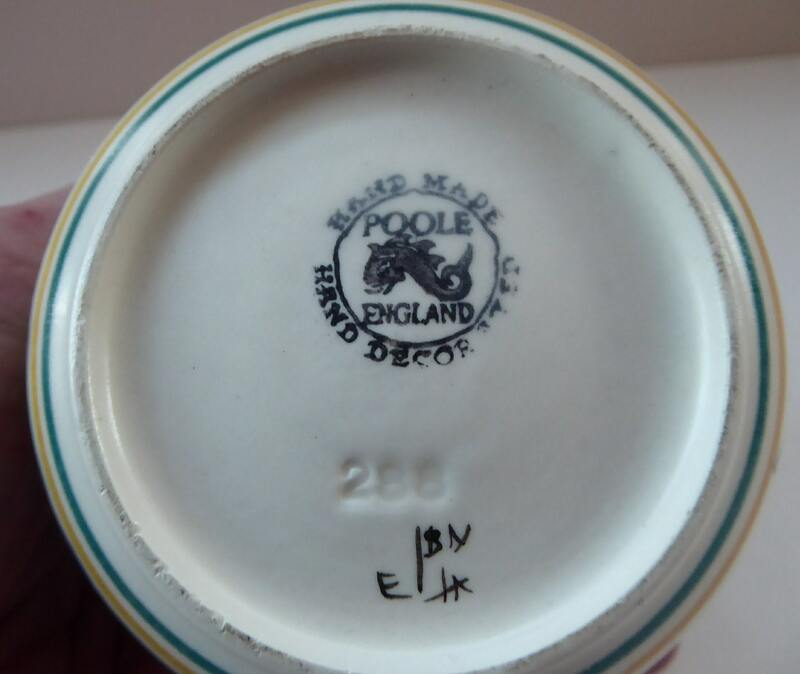 It is certainly a fine piece of British art pottery - and interest in the early 20th century pieces of Poole is again in the ascendent. 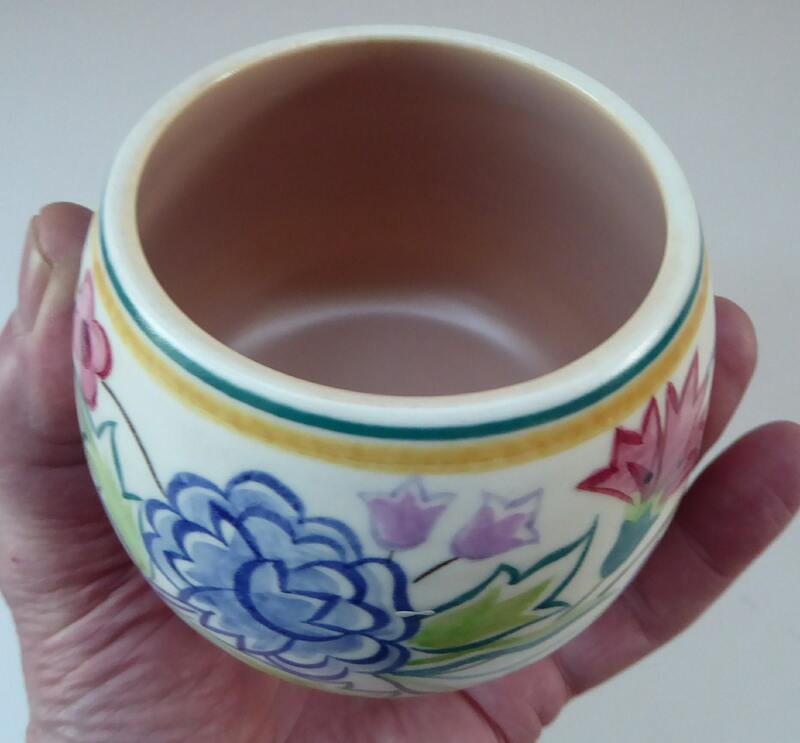 The interior of the pot as an eggshell lilac-pink glaze. Weight unpacked is 200 grams.